THE GOG BLOG by RORY SPEARS,. 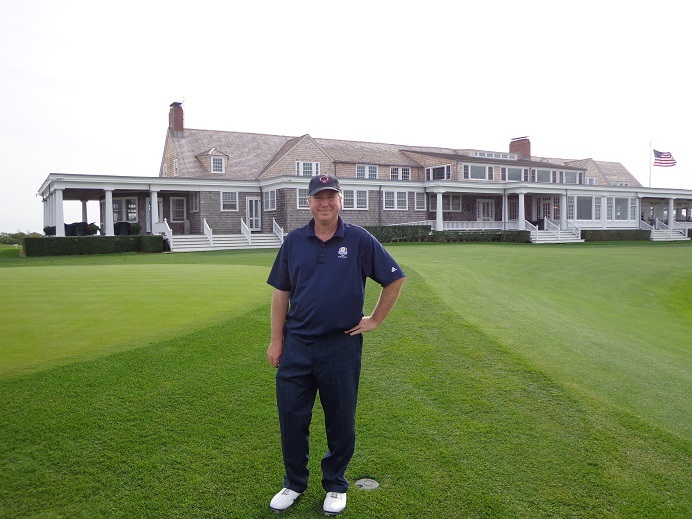 On the 9th green at Shinnecock Hills Golf Club home of the 2018 US. Open. Follow Rory the Director of Creation and Content on Twitter @GogBlogGuy, or on Facebook, and Linkedin. With the playing of the Masters Tournament this week in Augusta Georgia, it’s time for the 2018 golf season to begin the playing of it’s major tournaments. The four majors are called majors for a reason, they are the biggest tournaments in golf. They are the tournaments that all golfers want to win the most. They are career defining moments, they are Hall of Fame defining moments. This year the four-majors all have some story lines behind them. At certain majors there usually is a story line about one player who then becomes a sentimental favorite for one reason or another. So for 2018, here are my hopes for the four best potential major winners. The ones that make sense for the game, the fans (or this week the patrons) and the players themselves. THE MASTERS-RORY MCILROY, the green jacket and a Masters win are the only thing thing missing from this Irish guys closet and career golf room. With his win at Bay Hill, McIlroy seems to have found his putting stroke, and can go low again when needed. There are only five players who have won golf’s ultimate prize, The Grand Slam and only the great Bobby Jones has done it one year. McIlroy had a chance to win the Masters once, and let it get away during the “Back nine on Sunday”. 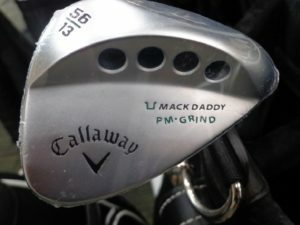 Here is hoping that doesn’t happen again, and McIlroy completes his career Grand Slam this coming Sunday. THE U.S. OPEN-PHIL MICKELSON at the Shinnecock Hills Golf Club. “Lefty: as he’s known, needs just one more win to wrap up an amazing career. That win is the U.S. Open, a win at the open would give Mickelson his career grand slam and that is something the golf world love to see. Mickelson like no other player brings a presence to the golf arena, not felt since Arnold Palmer. Mickelson has a way with the fans that most players will never have. Mickelson has six second place finishes at the U.S. Open the most recent being in 2013 at Merion, when he came up a shot short of a playoff with Justin Rose. Mickelson had a great chance at Winged Foot in 2006, but failed to convert a putt on the 18th green. He came up a shot short in the famed 1999 U.S. Open at Pinehurst, when the late Payne Stewart won his last major. Mickelson had a shot at Shinnecock in 2004, losing to Reteif Goosen, but he loves the golf course and it should suit him just fine come June. THE BRITISH OPEN- A FIRST TIMER AT CARNOUSTIE GOLF LINKS. Every year in golf at least one major is won by a player who wins his first major. With no player trying to win a career Grand Slam at the British this year, this major would be best won a player who has not win a major before, and may or may not fall into the category of, “The Best Player to not have won a major”. That can be a long time veteran like Matt Kuchar who almost won last year, losing out to Jordan Spieth. It can be an up and comer like Bryson DeChambeau who fits the bill of a European type player with his Plus-Fours on. It can be European players like a Jon Rahm or Tommy Fleetwood, many Americans, especially younger ones would pick Rickie Fowler. Our hope is that the “Open Championship and the Claret Jug” go to a first time major winner at this very historic major venue. THE PGA CHAMPIONSHIP-JORDAN SPEITH AT BELLERIVE COUNTRY CLUB, when Jordan Spieth won the 2017 British Open at Birkdale, he put himself in position to win the career grand slam. Now with three of the four legs done and in the trophy case, it’s the only major the kid from Texas still needs. A Midwest venue like Bellerive just outside of St. Louis is the perfect place to do it. The PGA Championship will be played for the 100th time this August, and with the new dates and schedule change, it might never get played in August again, as it moves to May come 2019. The centennial PGA Championship deserves a great player, a classy player, someone good for game on and off the golf course. That player is Jordan Speith who hopefully will fulfill his career slam at the years final chance for glory. That is unless you count the Ryder Cup in September.